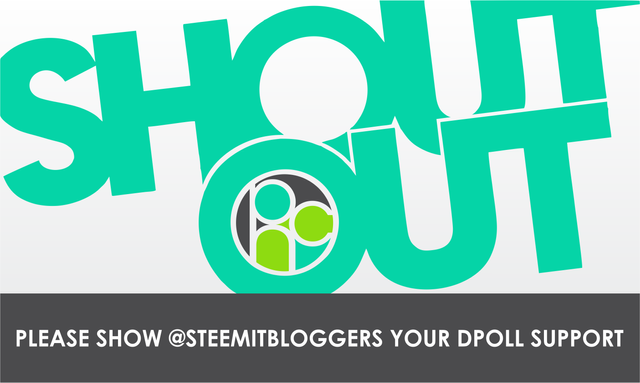 I am doing this "shout out" post to all the people that supported us in the previous 10k delegation poll because it has recently come to light in the current 20k poll that certain contenders have resorted to some "less than savoury" antics in order to obtain multiple votes, so whilst I would not normally tag this many people in a post - desperate times call for desperate (but still HONOURABLE) measures. Each and every person tagged in this post clearly believes in our @steemitbloggers community and what we stand for - which is why we got your votes and support in the last round... so I am appealing to you all again to please take a moment to read this post and consider supporting us again - THANKS! here we go again... voted! Wish you all the best! haha yip! Had barely recovered from the last round LOL!!! Thank you again for the support! Every little bit helps as we have lost grip on our first place position and will have to rally ALL the efforts we can in order to regain it... so this really means the world @pixelfan! Welcome To The Jungle - my song for the day, now gimme that 2 SBI, Jaynie 🤣✌🤣✌ - yes, I know, this is dpoll post not song of the day. I hope some of the people get in touch with you, @jaynie. Here or on Discord. If not, I would still recommend you getting in touch with them. Personal contact is important. This definitely needs to be inquired into. Rigging dilutes the whole purpose of a decentralized poll and is not good for the health of this newborn community. Imagine how many dolphins in the making we could accelerate with that delegation! In our last Algorithmic Curation Round, consisting of 220 contributions, your post is ranked at #50. Here we go again? Can’t stop won’t stop.